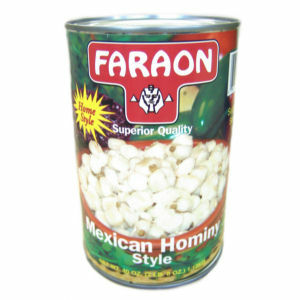 Pure, top quality corn goes into every can of Faraon Mexican Style Hominy. Our Home Style Superior Quality Hominy is carefully prepared with water, salt, citric acid and lime for your enjoyment. Whatever recipe you use, always start with Faraon® to ensure your meals are always delicious!